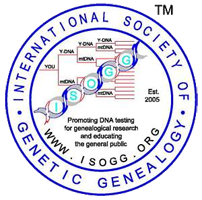 Join Grandma’s Genes and explore the world of Genealogy and Genetic Genealogy. Stories from our past, from your past, the future and all points in between. 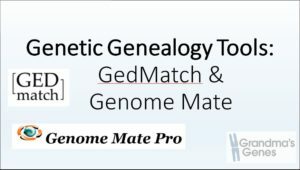 Summary: Using genetic genealogy tools GedMatch and Genome Mate to identify triangulation groups and map matching DNA segments to Most Recent Common Ancestors (MRCA) shared with DNA matches. 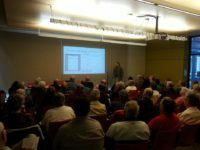 Slides from the June 2016 presentation given at the Ottawa Stake Centre – Voices from the Dust – Ottawa’s RootsTech. Summary: WikiTree is a community of genealogists on a mission to connect the human family on one FREE and accurate tree using traditional genealogical sources and DNA testing. 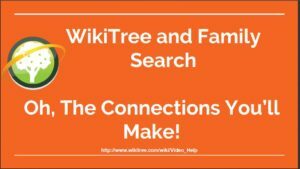 We will look at WikiTree and explore how one can make connections to existing Family Trees on Family Search using WikiTree. Slides from the Febraury 2016 presentation giving to The Surname Society. 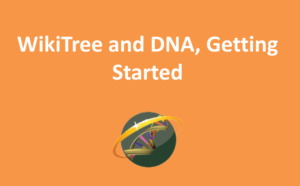 Summary: WikiTree is a community of genealogists on a mission to connect the human family on one FREE and accurate tree using traditional genealogical sources and DNA testing. 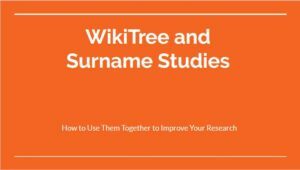 We will look at WikiTree and explore how one can use WikiTree to create and maintain a Surname Study. Summary: WikiTree doesn’t offer DNA testing. We don’t host DNA test results. You don’t “upload your DNA” to WikiTree. WikiTree focuses on what we do best: genealogical collaboration. We specialize in helping you share and collaborate with your matches. We also approach things from the opposite direction. 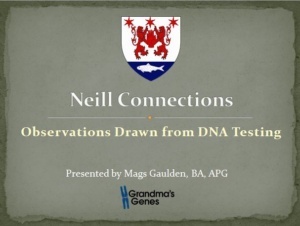 Slides from the August 2017 Neill Family Reunion. Summary: Observations drawn from DNA testing of Neill family members of James Andrew Neill and Mary Jane Eaker, of Lincoln County, North Carolina.